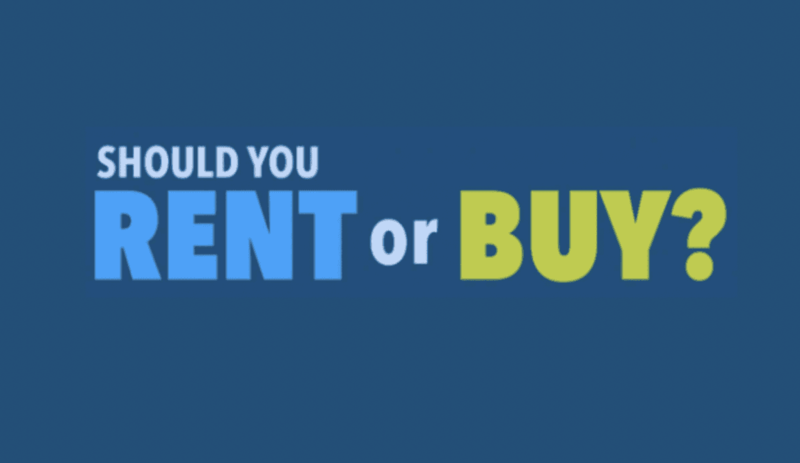 Should You Rent or Buy Your Trade Show Exhibit? The question isn’t always easily answered, and often comes down to cost and the amount of utilization. Today, we’ll discuss everything you need to consider when deciding whether to purchase or rent your next trade show exhibit. Is Purchasing an Exhibit Right for You? 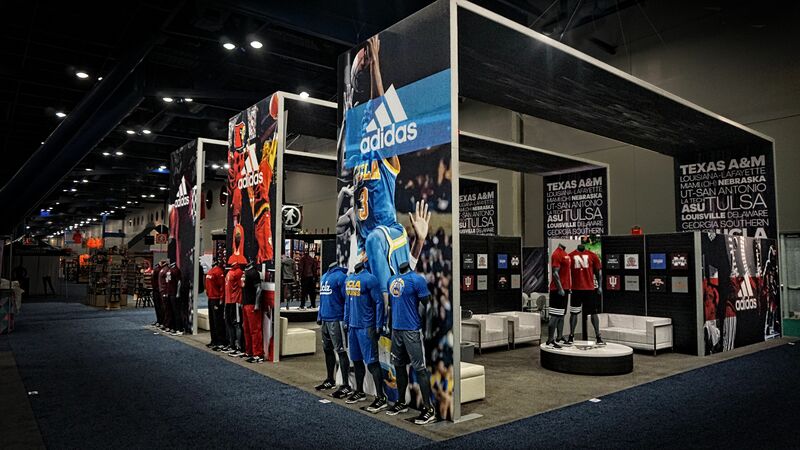 Creating a custom exhibit is an important investment for your brand’s marketing efforts. The purpose of a trade show exhibit is to attract and delight customers. It’s not just about being at an industry event. It’s about making an impression. A properly designed custom exhibit does just that. Purchasing gives you complete control over the layout, look and feel, and ensures that show attendees receive the desired experience. Designing a custom exhibit has a heavy-hitting impact on prospective customers. For many trade show attendees, it may be their first introduction to your company. It’s an opportunity for you to convey exactly what your company does. From the colors and materials selected, to all design elements, your unique exhibit presence can create an unforgettable experience for attendees. A custom exhibit should also align with, and enhance your other marketing efforts. Along with your company’s collateral, giveaways and staff, a trade show exhibit creates a unified brand presentation. For companies that exhibit at trade shows multiple times per year, purchasing an exhibit may be the best choice financially. Big brands can’t afford inconsistencies in their trade show presence. Also, purchased custom exhibit booths are more cost effective than rentals for businesses that exhibit at multiple shows per year. It has also become very popular to design modular custom booths so that companies can utilize their custom property in multiple floor plans and layouts. A good rule of thumb - if you rent an exhibit 3 times, you have most likely covered the costs of purchase. So, if you think you will rent the exhibit 3 or more times, you are most likely better off purchasing. Is a Rental Exhibit the Way to Go? First, it is important to note that having a rental exhibit does not mean you can’t be unique or custom. Many exhibit companies have built custom rental inventories so their clients can have an impactful presence, on a rental budget. Many times, startup companies and businesses new to exhibiting prefer to go the rental route until they can better understand the layout of their industry shows, and their desired functionality and design requirements. Newer companies need some flexibility. This is where rental exhibits can make a lot of sense. It gives brands a chance to test out designs and elements they may want in a custom exhibit later. If your brand’s trade show presence is infrequent - we’re talking one to two times per year - rental exhibits can be a great idea. You’ll cut costs on storage and up-front fees when you go with a rental, without compromising your presence at an important industry event. Of course, one word of caution - if you are renting an exhibit last minute, you may have issues procuring a booth. That’s why it’s so important to reserve your exhibit well in advance of the show date. One thing is certain: purchasing an exhibit will costs more initially. It is much more efficient to pay $100k for a booth that you use 5 times a year for 3 years, than to rent it per show for $35k. 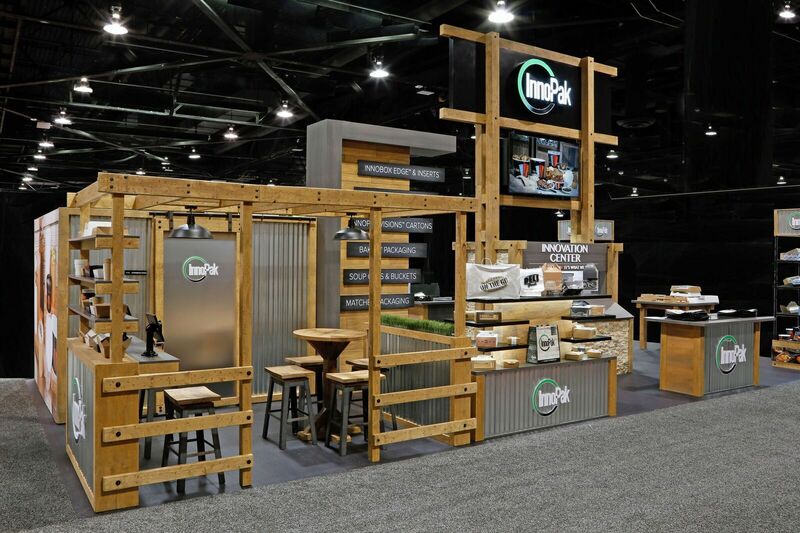 For companies who don’t have the resources needed to design a custom booth, rentals are the way to go. When you rent, you don’t have the upfront costs, nor are you subject to the ongoing costs of owning your own exhibit. Extra costs like recurring maintenance, warehousing, monthly storage fees, and insurance may be cost prohibitive for some companies. The best part about renting a trade show booth, is your company is not locked into the same design for a number of years. This can be critical for newer companies that may not have an established brand, or where branding could evolve quickly. It is also beneficial for companies that are new to exhibiting at trade shows, and may not know initially what will work best for them. Also, make sure to talk to your exhibit house about rental to purchase agreements, which allow you to own property once you have rented it a certain number of times. This is a win-win for your brand and budget. At Exhibitpro, our designers work with businesses to design the right rental exhibit. It’s our belief that with the right tools, you can make a rental exhibit just as experiential as a custom exhibit for trade show attendees. Our designers work with your brand to create the unique experience you need to attract customers. Whether you decide to rent or commission a custom exhibit design for purchase, there’s one thing you must remember: experience wins every time. The design will set your brand apart from your competitors and attract attendees, so you can generate leads. At Exhibitpro, we understand the needs of clients who rent or buy. The goal is always the same. Our designers will assist with lighting, color, materials and more to find the right trade show exhibit for your brand.